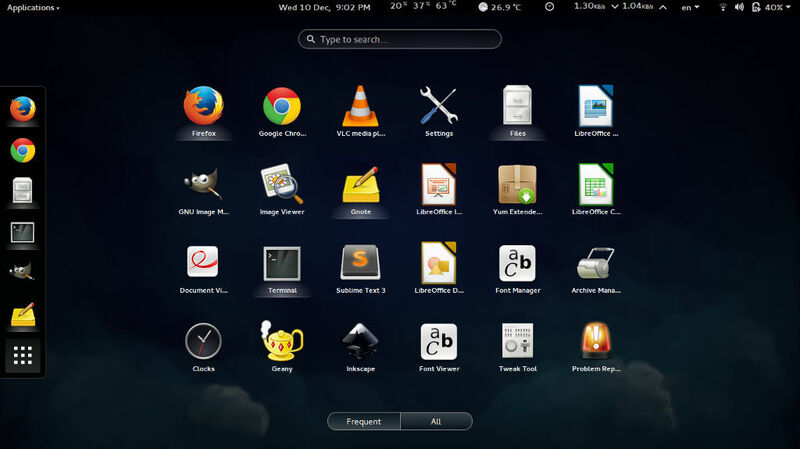 Fedora, the cutting edge operating system using gnome as the default desktop released Fedora 21. The Fedora 21 is focused on more agile developement. It released a version for workstation(Desktop), Servers and Clouds. The three flavour help fedora to focus of specalized developemnt on each platform needs. Fedora 21 workstation comes with Gnome 3.14. This is the major Gnome version change after Gnome 3.10 in fedora 20. The Gnome 3.12 is available on a copr repo on Fedora 20. Current gnome includes lot of changes from previous version. Much improved Wi-Fi hotspot management. Now shows authentication and login screen automatically. Improved geolocation framework with Mozilla’s Location services for 3G and network based positioning for maps. New improved Videos, Gedit and Document Viewer with revamped UI. Much more resigned tabs and header bars and buttons in these applications. Gnome weather got brand new layout. New geolocation framework is integrated into Gnome weather. Route planning feature on Gnome Maps. Foot, Bicycle or Car options to plan a route. New animations and transitions with the overlaymode and application mode. Faster performance on shell. Fedora 21 workstation comes with fullfledged Offlice package, Video Player, Audio player and other system tools. Firefox 34 is available as update and Gnome Photos are not included into fedora 21 workstation. 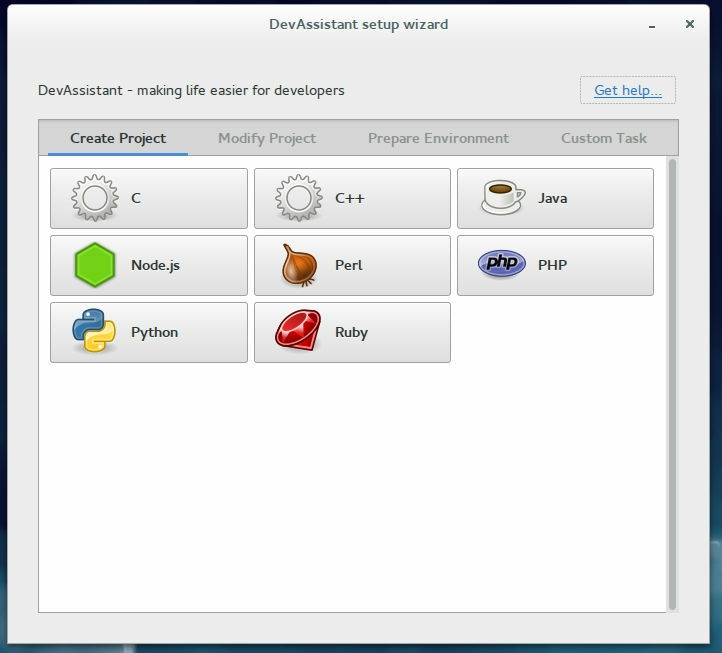 DevAssistant is a new tool available by default in Fedora 21. It helps to setup various development projects for C, C++, Java, Node.js, Perl, PHP, Python and Ruby Languages. It also help to modify projects, prepare environments etc. Make a Coffee will give you a DevAssistant Coffee. Fedora 21 Cloud provides images for use in private cloud environments, like OpenStack, and Amazon Machine Images for use on Amazon Web Services. It also has a base image to enable creation of Fedora containers. Fedora 21 Server introduces three new technologies to handle the management and installation of discrete infrastructure. Server include Rolekit (provides a Role deployment and management tooklit for admins), Cockpit (web-based user interface for configuring, managing, and monitoring servers), and OpenLMI (remote management system built on top of Distributed Management Taskforce — Common Information Model for scripting management functions across machines). 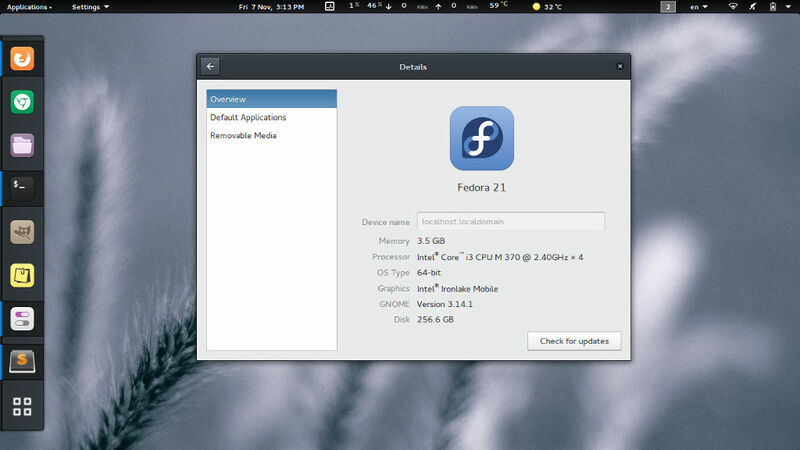 Fedora 21 is available for download as iso in workstation, server and cloud flavours. Fedora Spins for KDE, XFCE, LXDE and MATE are also available. #1 Fedora KDE Spin A complete, modern desktop built using the KDE Plasma Desktop. #2 Fedora Xfce Spin A complete, well-integrated Xfce desktop. #3 Fedora LXDE Spin A light, fast, less-resource hungry desktop environment. #4 Fedora Security Spin All Security analysis tools in one place. #5 Fedora MATE-Compiz A classic Fedora Desktop with MATE and Compiz. With wobbly Windows. #6 Fedora Electronic-Lab Fedora’s high-end hardware design and simulation platform. #7 Fedora Scientific-KDE Open Source Scientific Computing. #8 Fedora SoaS Discover. Reflect. Share. Learn. #9 Fedora Design-suite Open Creativity. #10 Fedora Jam-KDE Unleash your inner musician. #11 Fedora Games A perfect show-case of the best games available in Fedora. #12 Fedora Robotics Dive into Robotics.